Dedicated to Sociology: Bibhash Sharma Sir is the top-notch teacher of Sociology in Delhi; his scientific way of teaching has helped many students get selected in Civil Services exam. His sociology classes are 100% focused on UPSC (Civil Services Examination). It means you will be joining such institute which is truly dedicated to IAS exam. Answer Writing: Sociological answer-writing skills & techniques will be taught to students. Unit Test: Chapters/Units covered in the classroom will be assessed with the Classroom/Unit test at a regular interval (every Sunday). Course Duration: Two and half (2-1/2) Months, (maybe a week extra). Experienced Teacher: Mr. Bibhash Sharma has more than 15 years of teaching experience. It means students will learn, understand, practice answer-writing of sociology under the careful guidance of the well-experienced teacher. 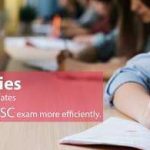 All India Sociology Test Series (Mains): All classroom students will be entitled to 20% fee concession for our All India Sociology Test Series Mains. Why Sociology is a Good Optional Subject for Civil Services Exam?